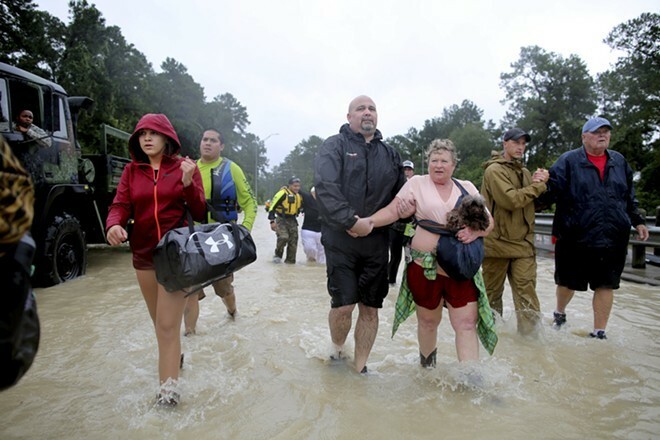 How would you react to the kind of natural disaster that these Houston residents are facing this week? It's important to develop coping skills to contend not just with hurricanes and floods, but all the difficult situiations life throws at us. Ever wondered how you’d fare in a disaster situation like the scene that’s unfolding in East Texas? There are lots of reasons (think Windstorm 2016) to have emergency preparedness kits on hand and a plan in place in case disaster strikes. But it is also important to develop coping skills to contend not just with natural disasters, but also the difficult things that life throws at us, individually and collectively. Here are some tips on practicing resilience. In the latest “definitive” research on what your diet should look like, there may be some good news for those who haven’t followed the previous “definitive” research on what your diet should look like. Two new studies — big ones, using data collected from 135,335 people from 18 countries, aged 35 to 70, over the course of more than seven years — have produced some surprising results. More fat may be better: The first study considered the effect of fat in the diet. Diets that included a moderate amount of fat (about 35 percent of total calories) and a relatively low amount of carbohydrates were linked with a reduced risk of mortality as compared to lower fat diets. And in contrast, diets high in carbohydrates were associated with a higher risk of mortality. More cooked peas and broccoli may not be better: The second study looked at fruit and vegetable consumption. Researchers found three to four servings of fruits and vegetables a day were optimal, with additional servings offering minimal benefits. Fruits and raw vegetables were especially beneficial as compared to cooked vegetables. Note that juices, potatoes and legumes weren’t considered as servings in the study. Both studies were published this week in the British medical journal The Lancet. Here’s the deal: Music is good for you. Getting outdoors is good for you. Mingling with your neighbors is good for you. Combine them all for a smashingly excellent ending to the summer with the Spokane Symphony’s annual Labor Day concerts.